Speedy Carve, I love you. Last summer I took five glorious weeks off from client work to participate in the Summer Residency Program in Illustration at School of Visual Arts. Our first assignment for Viktor Koen’s class was to create a family book-plate for ourselves. I chose to do a “field” of turkeys to represent a long-running joke in my family about a large flock of turkeys that visits my parents’ home. I drew a sketch for the idea that was cute but felt a little cartoony. I wanted to elevate it somehow. 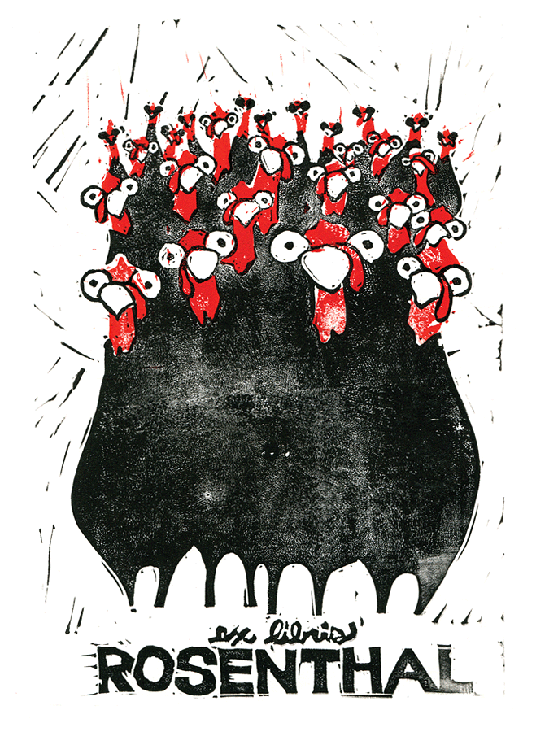 I thought it would look great as a block print but didn’t have any experience with lino cuts and I had heard it was hard on the hands and pretty easy to hurt yourself. At the art store I found what would become one of my favorite art supplies: Speedy Carve. Left: My original turkey sketch. 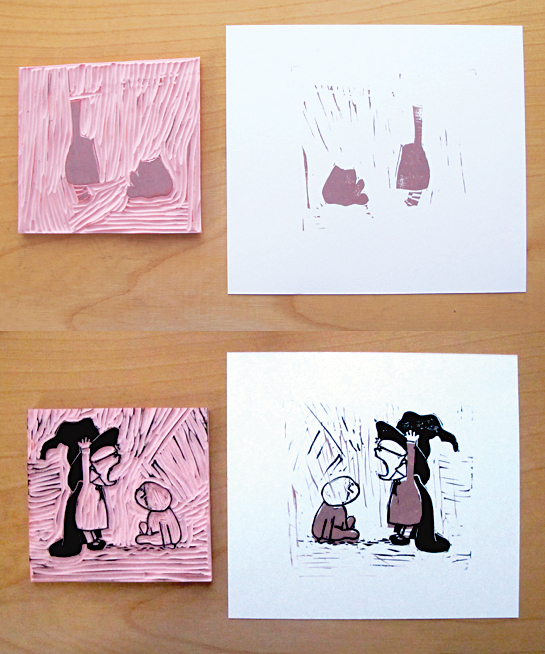 Right: The speedy carve block with some leftover black ink. 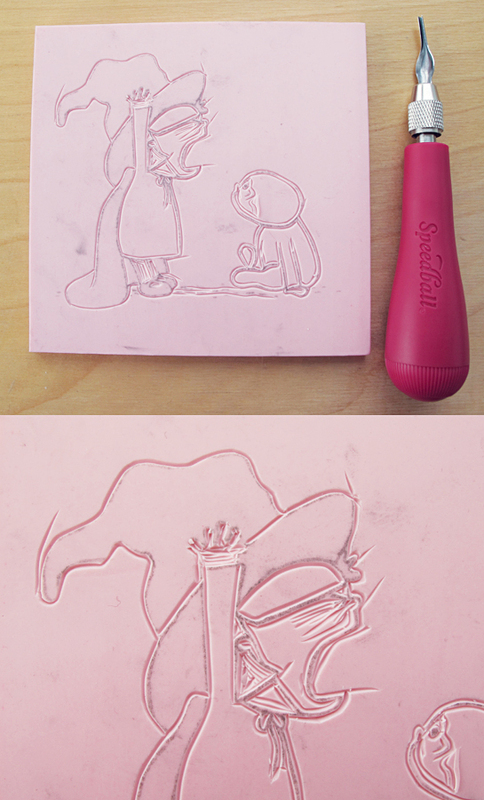 Speedy Carve is a pink eraser-like block that you can carve into with a linoleum cutter. I purchased a few blocks of it as well as a block printing starter kit, some block printing ink and some paper to print on. One of the things I love about Speedy Carve is that it is really easy to cut and you get this great energetic, loose quality to your line, much like an initial rough sketch. 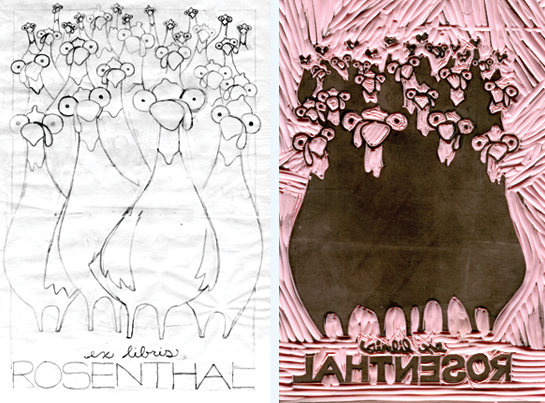 The downside of using Speedy Carve over a traditional linoleum block is that Speedy Carve can degrade over time. If you want to create something that you can use over and over again for years, you should probably use a linoleum block. 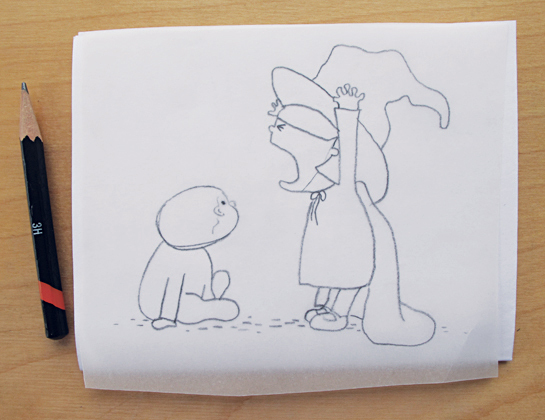 Start with a pencil drawing of the image you’d like use. It helps if the image is on vellum or tracing paper. 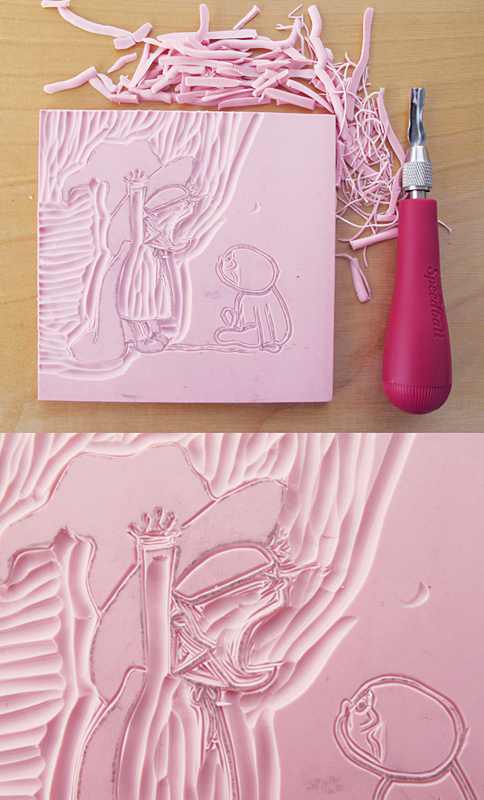 Use a linoleum cutter to carve out the areas you don’t want to print. Linoleum cutters come with different size blades. 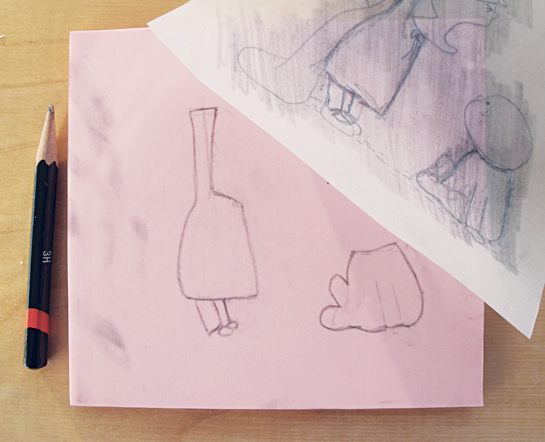 Start with the smallest one to outline the edges of your drawing. You can change your blade to a larger size to carve away the bigger areas. To make a second color for your print, you can use the back side of your block or another piece of Speedy Carve. Line up your sketch the same distance from the top of the block as you did for your first color, so the colors will align properly when you go to print. 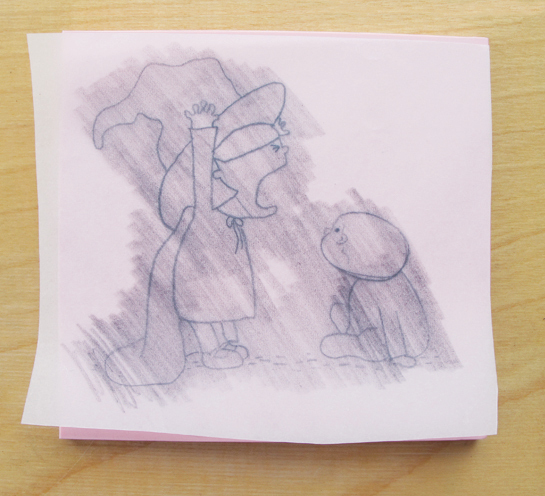 I usually align the top of the paper with my sketch to the top of the block to keep things simple. Mix your ink on your inking tray (I just use a piece of plexiglass from an old picture frame since the foam tray that comes with the kit is pretty flimsy). 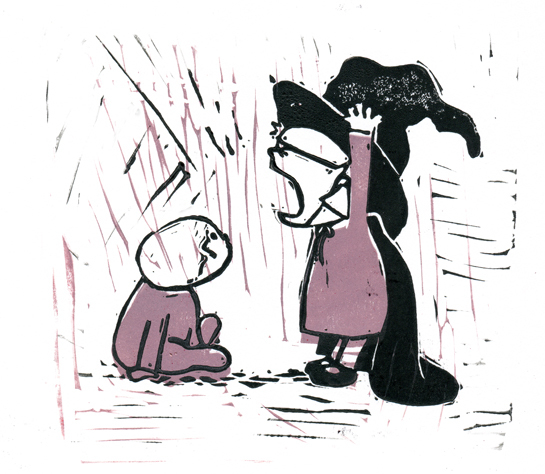 Spread it onto your block with a brayer and place the Speedy Carve on top of the paper you want to print on. Press firmly on the block from top to bottom to make sure your design gets transferred. At this point I trace the top two corners of the block onto the paper so I can line up my next color/block in the same spot. Voilá! Part of the fun is getting the extra lines in the background, but you may want to do a test print or two on cheaper paper to make sure the image is looking how you want it. Good luck and let me know if you have any questions! I love Speedy Carve, too! So fun and easy to use. Also good for making stamps if you cut the images out. Hi ,can I ask a question? on my speed carve there are two sides, a rough and a smooth. I assume I should carve the smooth , right? Sorry Oliver! Just seeing your comment here. Hmmmm, My speedy carve blocks have the same texture on both sides. But yes, I assume that if yours has a rough and a smooth you should use the smooth. Previous PostWhy are all my favorite illustrators men?